Technology Services offers telephone, email, and in-person support to all Samford student and employees. In addition to providing a friendly voice and excellent service, the Service Desk offers efficient options for reporting system outages or other problems, as well as problem resolution for common tasks and frequently encountered problems. University Library, Room 012, Monday-Friday, 7:30 a.m.-5 p.m.
Email: support@samford.edu, Monday-Friday, 7 a.m.-5 p.m. 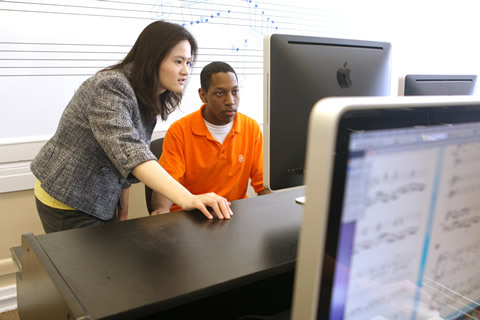 The Academic Computing Labs provide the laboratory environments and technological resources necessary not only to complete assignments but also to cultivate an understanding of and a confidence with the resources available, as well as assisting the faculty as they rely on the laboratories to meet their curricular goals. Samford University provides seven general access computer labs overseen by the Academic Computing Labs for the academic computing needs of the general student body. Many of the labs also function as classrooms when faculty needs access to computers for instruction. More than 350 computers offer word processing, access to the Internet and many applications specific to the various academic programs. The Academic Computing Labs are staffed by Ernie Gates, computer labs manager. More than 20 student workers are employed as lab assistants during the spring and fall semesters to assist patrons, keep labs stocked with supplies and help maintain equipment. The University Library Main Lab is located on the lower level of the University Library. The lab phone number is 205-726-2316, which will connect you to the service desk. Samford partners with CSI Leasing for the acquisition of computer and computer-related equipment for university usage. Desktop computers (Dell Optiplexes and Apple iMacs) are leased for four years. Laptops (Dell Latitudes and Apple MacBooks) are leased for three years.The lease cycle provides for replacement within the warranty period and insures that we are keeping pace with current technology advances. If you have any questions regarding your lease, contact Jim McDowell by email or call 205-726-2365. As a student or employee of Samford University you have access to discounts on new computer purchases. We have partnered with Dell and Apple to help offer educational discounts. For discounts on Apple desktops and laptops, follow the link and identify your education institution as Samford when prompted. Office 365 Education is a collection of services that allows you to create, collaborate and share documents and information. It’s available for free to faculty, staff and students who are currently attending school or working at an academic institution. The service includes Office Online (Word, PowerPoint, Excel, and OneNote), 1TB of OneDrive storage, Yammer, and SharePoint sites. Samford allows students and employees to install the full Office suite of applications on up to 5 PCs or Macs for free. Microsoft Skype for Business is a collaboration tool for instant messaging (IM), voice or video calls, and online meetings. Skype for Business/Lync for Mac is available for most computers and/or mobile devices, on campus or anywhere you have Internet access.​ Skype for Business replaces the old Office Communicator used with older versions of MS Office. Skype for Business is included with newest versions of Microsoft Office. Note: End of Life for Office Communicator for Samford. On Monday, September 26th , Samford's services for Office Communicator will be decommissioned. If you or your organization currently uses Office communicator for instant messaging, please make sure you have upgraded to Skype for Business before September 26. Office Web Apps are touch-friendly web applications that let you create, edit and share your Word, Excel, PowerPoint and OneNote files from any browser. Additional information is available on Microsoft's website. Microsoft continues to add new features to Office 365. For example, Sway, Delve, and Video are all recent additions to Office 365. While Technology Services support staff strives to stay aware of the release of new features, we are not always able to provide the same level of support for newly added features or functionality as with the core applications such as Outlook, Word, Excel, PowerPoint, etc. In an effort to communicate support expectations for Office 365 we have developed a list of applications we can fully support and a list of applications that will be at best effort, and will work with you the best we can to assist in using these additional features. Full Support Full Support means that we will help work through any issues until a resolution is found. Minimal Support Minimal Support means a best effort attempt to resolve your issues or answer questions related to these applications. We may also direct you to relevant knowledge articles or training courses that are available. Click through to install and follow the onscreen process. Sign in with your school credentials for full editing capability. You will need your @samford.edu email address to sign in. If you have trouble, contact the Help Desk. Samford University offers remote assistance for PC- and Apple-related computer issues. Technology Services may require you to install our remote assistance software so that a Service Desk Associate can remotely access your computer. For your security, an ID number and random password will be generated each time you run the software. 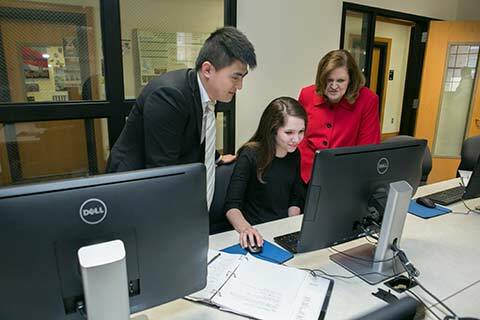 The Technology in Learning Center (TLC) supports Samford University faculty and staff in implementing technological tools to enhance teaching and learning throughout the university. We can help you develop online course materials, arrange a short-term loan for a piece of computer equipment, work with you on a PowerPoint presentation and help you to digitize your slides or course syllabus. If it involves teaching and technology, we can help you make it happen. The Technology in Learning Center, located on the lower level of the University Library, is a fully equipped multimedia computer lab. Drop by any time to use the facilities or make an appointment with a technology specialist who can work with you one-on-one. 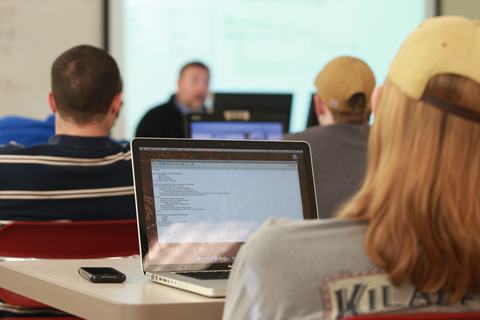 We are the primary point of contact for faculty members utilizing Moodle, Samford’s online course management system. The TLC maintains an equipment pool consisting of LCD projectors, notebook computers, digital cameras and other technological equipment. These materials are available free to faculty and staff, and may normally be reserved for up to a week. If you need assistance with a specific technology or related service, please contact the technology Service Desk. Training sessions are held throughout each term and cover a variety of topics. Each workshop lasts approximately 50 minutes. Contact the service desk at 726-2662, or support@samford.edu if you need training on a specific technology not provided below.